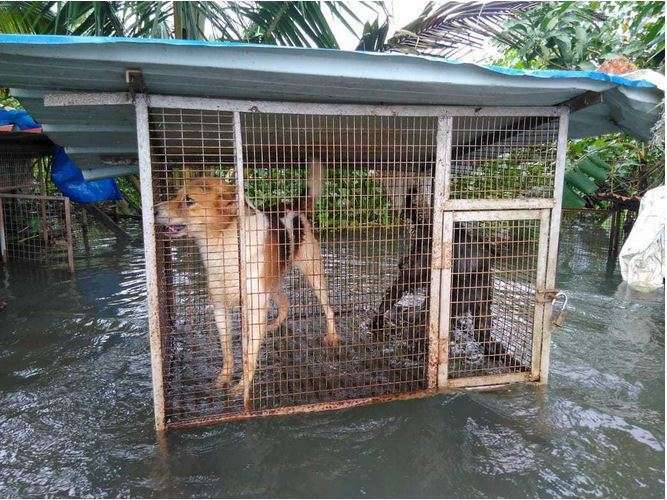 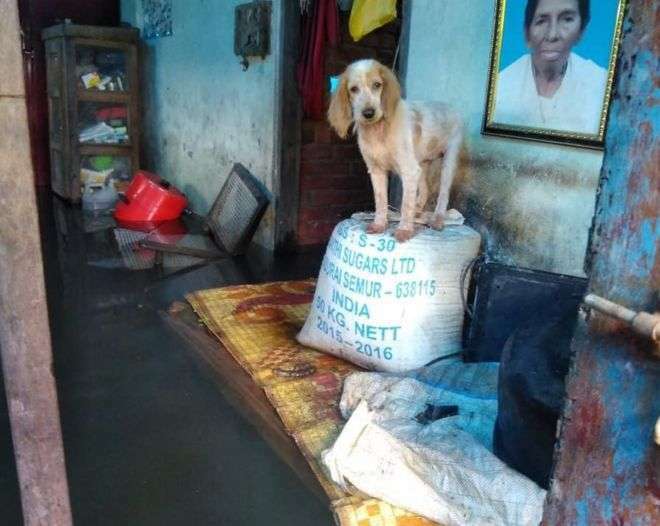 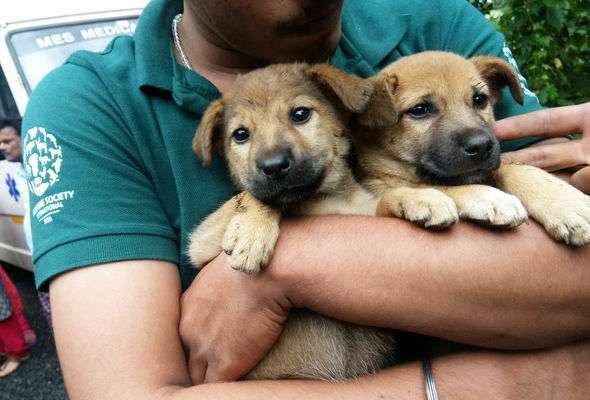 The Humane Society International/India had been inundated with distress calls from people ordered to leave their homes without their four-legged friends. 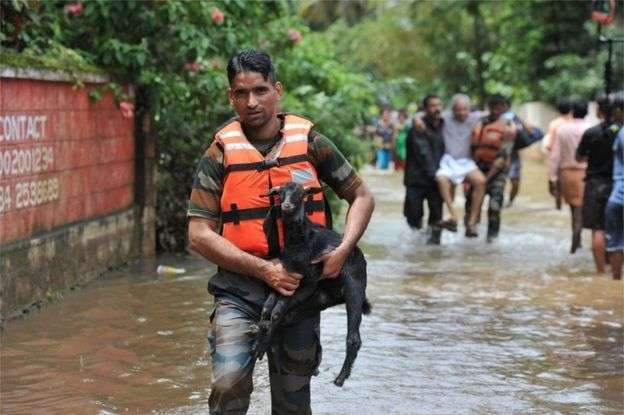 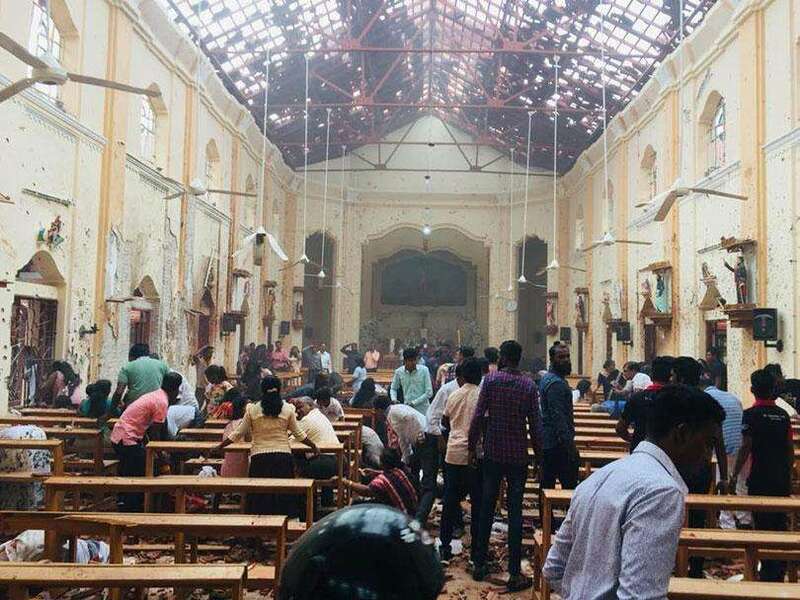 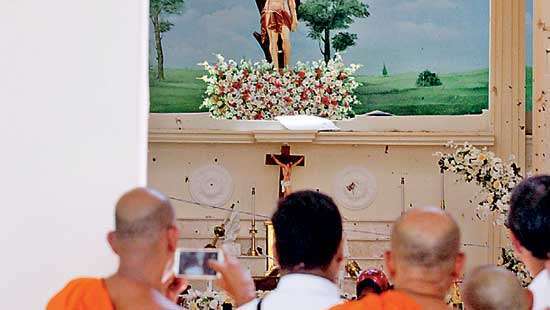 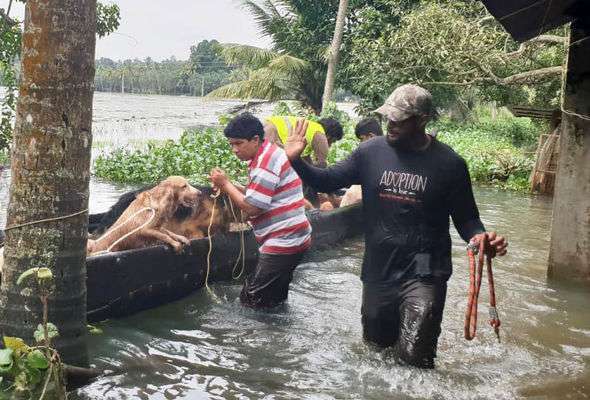 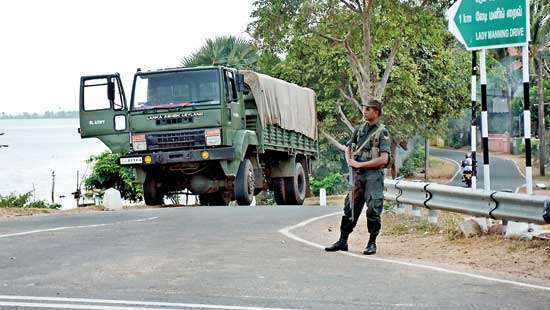 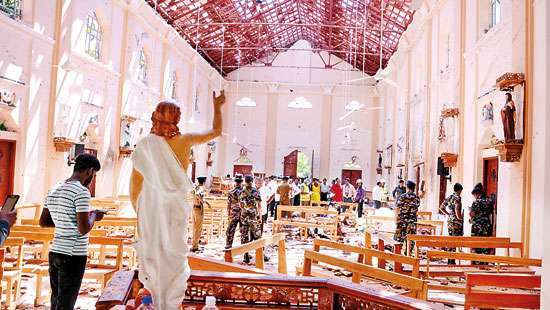 Hundreds of people been killed in the worst flooding to hit the south Indian province in a century and more than a million have been put into emergency camps to avoid the rising waters. 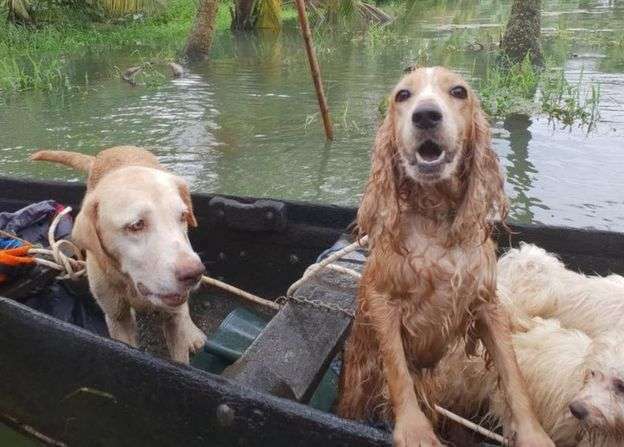 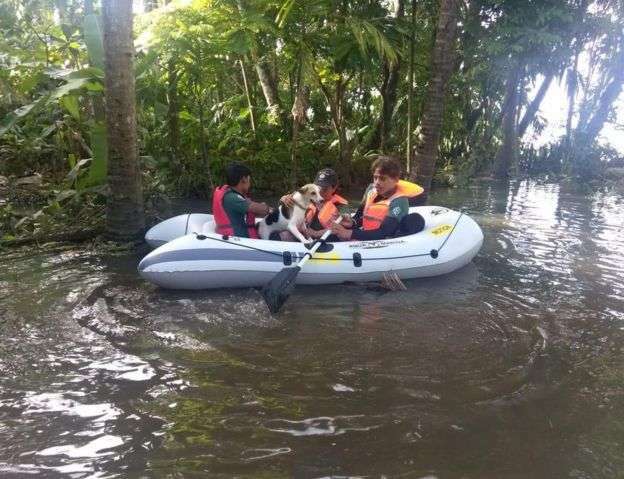 In the hurry to evacuate, many humanitarian boats initially refused to take pets - leaving thousands of dogs and cats behind.